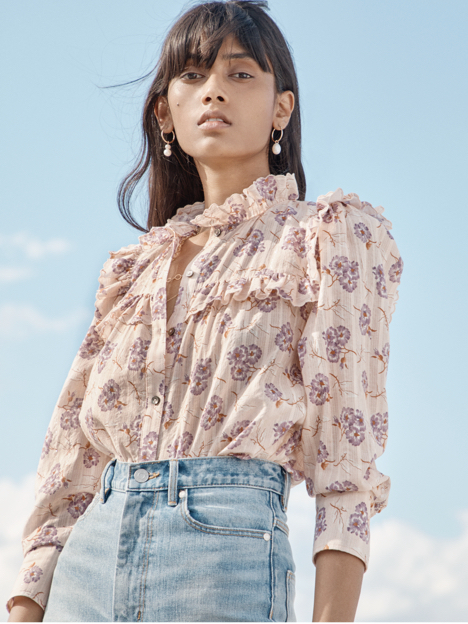 This easy cotton button-front shirt is detailed with a mini rose print, for a femme update to a classic silhouette. This easy cotton button-front shirt is detailed with a mini rose print, for a femme update to a classic silhouette. Pair it with jeans on the weekend or mix it back to a printed skirt.